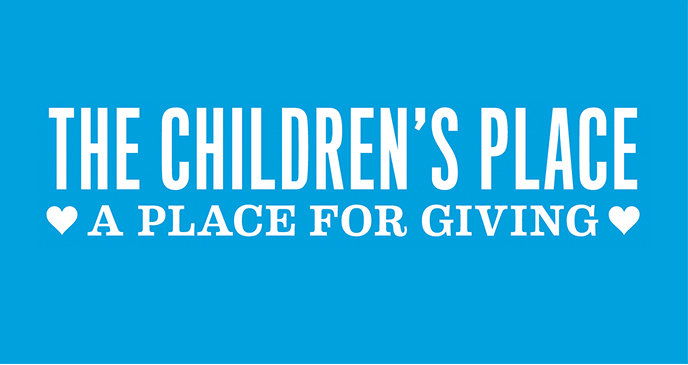 As part of our philanthropic mission, The Children’s Place donates clothing, money and time to local and national organizations that support children and families in need. Throughout the year, we create numerous product experiences in our corporate “mock store” using thousands of styles. After each season, we donate all this clothing to those who need it most. We are the largest single donor of children’s clothing to the Good+ Foundation, a national organization that provides clothing and other supplies to families living in poverty. Our pajamas get added to care packages sent monthly to Iron Matt’s family assistance program, providing happiness for kids being treated for pediatric brain cancer. We donate larger-sized products to kids in group homes through Youth Consultation Services (YCS) and newborn clothing to the Children’s Aid and Family Services “Baby Basics” program. Year after year, our employees raise the bar and donate more of their time, money and services to help kids. 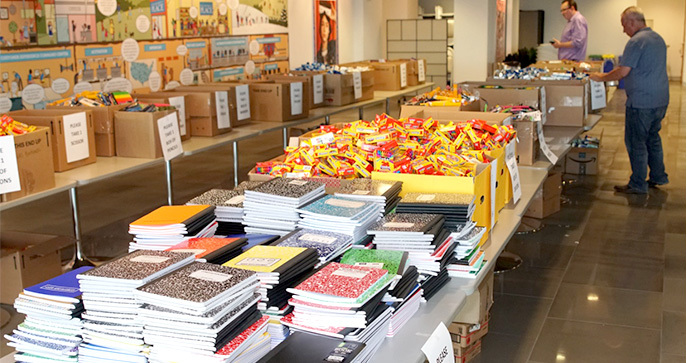 Each summer, Associates help kids prep for school by donating hundreds of backpacks filled with school supplies to our charitable partners. Each winter, Associates grant holiday wishes to over 150 children living in YCS group homes, giving them a chance to experience the joy of the season. All year long, Associates donate to causes and charities close to their hearts. The Children’s Place is pleased match our associates’ donations. From feeding families, to funding pediatric cancer research, to providing necessities for newborns, we are proud to support a variety of programs dedicated to children and families. The Children’s Place is a sponsor of the annual “Bag A Lunch, Help A Bunch” program and our matching Associate donations helped us become the largest financial contributor to this annual event. 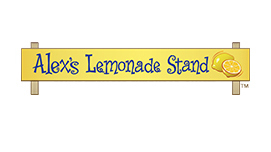 During Pediatric Cancer Month (September), The Children’s Place helps sponsor the Iron Matt Foundation’s annual event which, raises money to fund pediatric brain cancer research and support families of children being treated for this terminal condition. 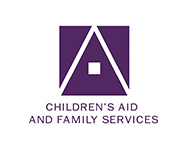 The Children’s Place is a corporate sponsor of the Children’s Aid and Family Services Baby Basics program, which provides formula and diapers for the working poor families in northern NJ. 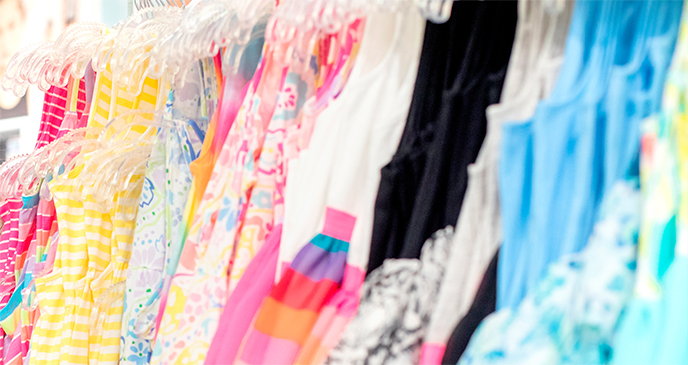 The Children’s Place supports The American Red Cross with corporate donations, as well as matching Associate gifts when natural disasters strike domestically and internationally. Volunteering is important to our Associates and we provide in-house and out-of-office opportunities to give back. Each month, Associates create care packages full of pajamas and gift cards for Iron Matt families that have a child being treated for brain cancer. 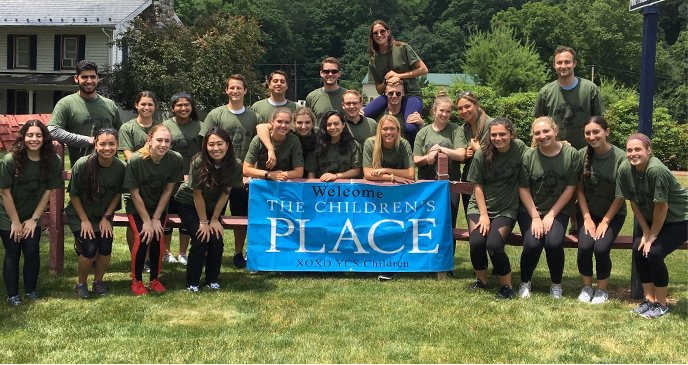 Interns and Associates spend a day at camp playing with the Youth Consultation Services’ campers, which is particularly special for the kids since their group home setting makes one-on-one companionship a rarity. 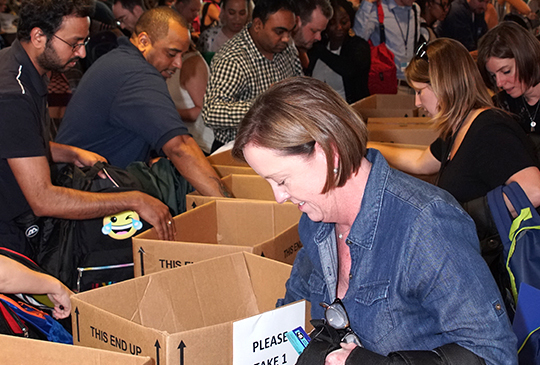 Throughout the year, Associates volunteer at the Good+ Foundation’s warehouse to bundle our donated clothing into head-to-toe outfits for recipient families. 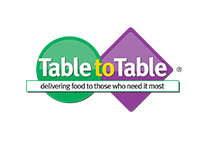 Learn more about our philanthropic partners by clicking their logos below. 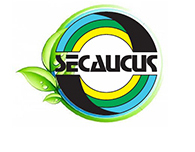 Our corporate headquarters is located in the heart of Secaucus, NJ and we are proud to support the Secaucus Youth Alliance by donating clothing throughout the year and providing money to purchase toys for local kids in need during the holidays.